Debt is the money borrowed by one party from another entity to serve a need that otherwise cannot be met outright. Many organizationsTypes of OrganizationsThis article on the different types of organizations explore the various categories that organizational structures can fall into. Organizational structures use debt to procure goods and services that they can’t manage to pay for under ordinary circumstances. Under a debt agreementDebt CovenantsDebt covenants are restrictions that lenders (creditors, investors) put on lending agreements to limit the actions of the borrower (debtor). Debt covenants are agreements between a company and its lenders that the company will operate within certain rules set by the lenders. List of top 10 debt covenants., the borrower obtains authorization to get whatever amount of money is needed on condition it will be repaid on an agreed date. In most cases, the amount owed is serviced with some interest. Based on the amount borrowed, debt can be an asset or a complication. Knowing the best way to manage one is tricky, particularly for a borrower who is finding it hard to make scheduled payments. There are many types of debt, but the most common ones are an auto loan, mortgageMortgageA mortgage is a loan – provided by a mortgage lender or a bank – that enables an individual to purchase a home. While it’s possible to take out loans to cover the entire cost of a home, it’s more common to secure a loan for about 80% of the home’s value., credit card debt. Based on the terms agreed on, the borrower must repay the outstanding amount by the set date, usually a few years later. Also, the terms usually specify what interest the loan will accrue over the period it is being serviced as a percentage of the principal amount. Interest is an essential element of the loan as it ensures that lenders are repaid for the risks they take and encourages borrowers to make payments quickly to limit interest-based expenses. Other than credit card and loans, companies wanting to borrow money can resort to other functional options. Corporate bodies can explore other debt types such as commercial paper and bondsBondsBonds are fixed-income securities that are issued by corporations and governments to raise capital. The issuer borrows capital from the bondholder and makes fixed payments to them at a fixed (or variable) interest rate for a specified period. What is an Indenture? An indenture is a binding contract between an issuer, which are not available to an individual. Bonds allow companies to raise funds by selling a repayment promise to interested investors. Institutions and individual investment organizations can procure bonds that typically come with a predefined interest, rate, or coupon. If an entity wants to raise a million dollars to purchase new machinery, for instance, it can provide the public with 1,000 bonds each worth $1,000. Once individuals or other companies purchase the bonds, the holders are guaranteed a face value on a given date commonly known as the maturation date. The amount is in addition to a regular interest on the bond throughout the period the bond is active. Bonds work on a similar principle to that of conventional loans. However, a company is the one borrowing while investors are either creditors or lenders. A commercial paper is a short-term debt that comes with a repayment period of less than or equal to 270 days. In the field of corporate finance, a lot of attention goes to the amount of debt an entity owns. If for one reason or another, sales drop, and a company is no longer as profitable as it once was, then it may not be able to repay its loans. Such a company suffers the risk of going bankrupt. Equally, an entity that does not take out loans may be limiting its expansion potential. There are many industries on the market, and each interacts with debt uniquely. Thus, each company defines the right amount of debt using scales unique to its industry. When evaluating a company’s financials, a variety of metrics come into play to assess whether its debt level is within an acceptable range. Good debt lets an individual or company manage finances effectively so that it becomes easy to build on existing wealth, purchase what is needed, and prepare well for uncertainties. It includes mortgages, buying goods and services that save the buyer money, essential items and education loans, or debt consolidation. Bad debt, on the other hand, is an engagement whose value decreases right after purchase. However, the description fits most of the vital things we need in life such as cars, TVs, and clothes. Other examples are credit card loans, payday loans, or automobile loans. Secured debts involve a repayment promise, as well as collateral. Securing a debt means providing an asset so that in the event a borrower defaults, it can be sold to recover the money that was lent out. Real-life examples of secured loans include mortgages and auto loans because the item under financing is the collateral. For example, if the borrower is purchasing a car, and defaults on payment, the loaner can sell the vehicle to recover the remaining amount. Also, if an entity takes a mortgage, the property of interest is used as collateral. The lender maintains interest, financially, over the asset until the borrower clears the mortgage. 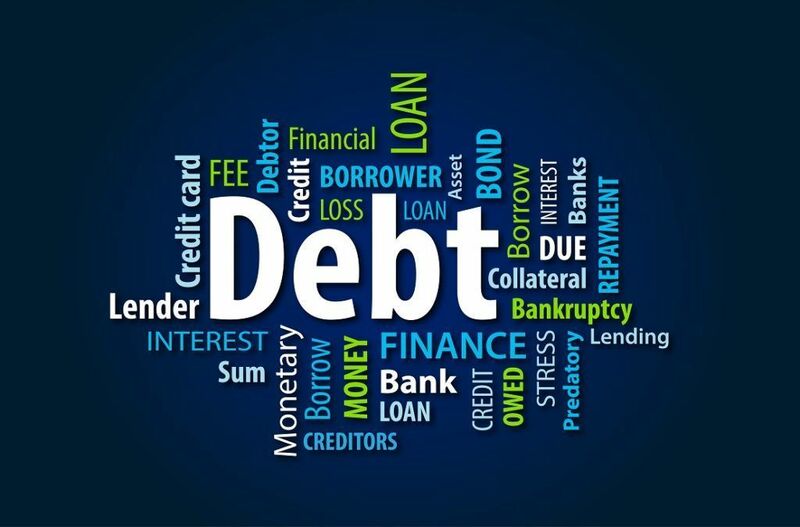 Unsecured debt, on the other hand, does not involve collateral. However, if a borrower does not repay the loan, the lender can institute charges at a court of law to recover the amount loaned. Lenders use creditworthiness to assess a borrower’s repayment potential. Principal PaymentPrincipal PaymentA principal payment is a payment towards the total principal amount of a loan that is owed. In other words, a principal payment is a payment made on a loan that reduces the remaining loan amount due. Projecting Balance Sheet Line ItemsProjecting Balance Sheet Line ItemsProjecting balance sheet line items involves analyzing working capital, PP&E, debt share capital and net income. This guide will break down step-by-step how to calculate and then forecast each of the line items necessary to forecast a complete balance sheet and build a 3 statement financial model.